The gist: in this post, we’re talking about how verbs are the key to effective and actionable to-do lists that make it easier to be productive. Take a look at your to-do list. Read the different tasks on it. Now, this may seem like an obvious question, but does it actually have anything you can do? VERBS, MY FRIEND! I’m talkin’ bout verbs. You can read all the lifehack and productivity articles in the world about saving time on your to-do list, but they won’t help you if you don’t know how to write an effective to-do list in the first place. I understand why people want to spend as little time as possible writing their to-do lists. The less time you spend planning, the more time you can spend doing, right? Your to-do list is your instruction manual for the day. And we all know what it’s like to put together furniture with a confusing manual. 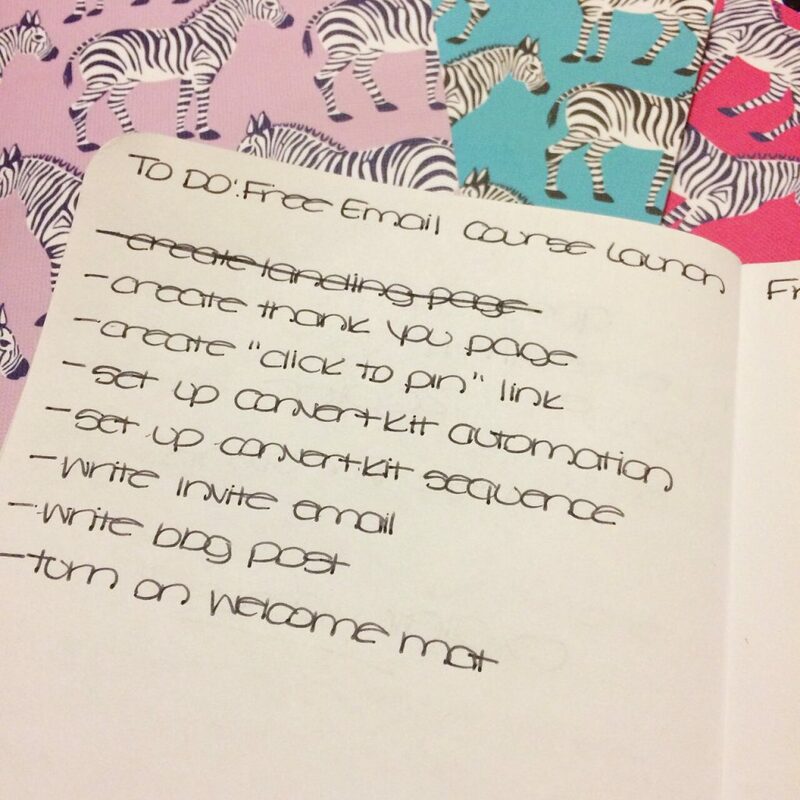 So it’s worth taking the extra minute or two (seriously, it’s not much time) to create a more effective to-do list. And if you’ll please flash back to elementary school with me for a quick sec, you’ll recall that verbs describe actions…things that you DO. So the secret to an effective to-do list isn’t about what app you use, or what morning routine you write it during. It’s how actionable your tasks are, and that happens through using verbs. Without verbs, your to-do list is a vague list of things, not tasks to be completed. So if you want to get technical (and I always do), it’s not a to-do list. It’s a list of things that don’t yet exist, but it doesn’t give instructions on how to create them. My reaction when I realized this? Mind. blown. Let’s say you created a task list for your week on Sunday night using the lackluster, verbless second list. You may look at that second list Wednesday morning and see things like “Pinterest link” and “automations,” but forget the details. Are you supposed to be creating them? Editing them? And where? You may think, “Well, duh. I know my own job, I don’t need the details” And that may be true. 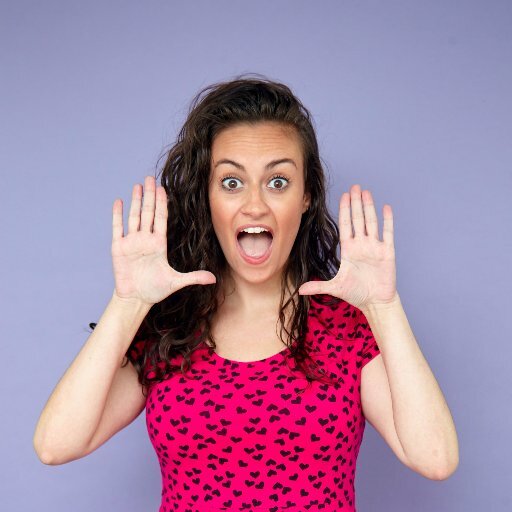 But at work, I’m involved in writing, editing, formatting, and promoting blog posts. They’re all separate tasks, but how would I tell the difference between them on a vague, verbless list? 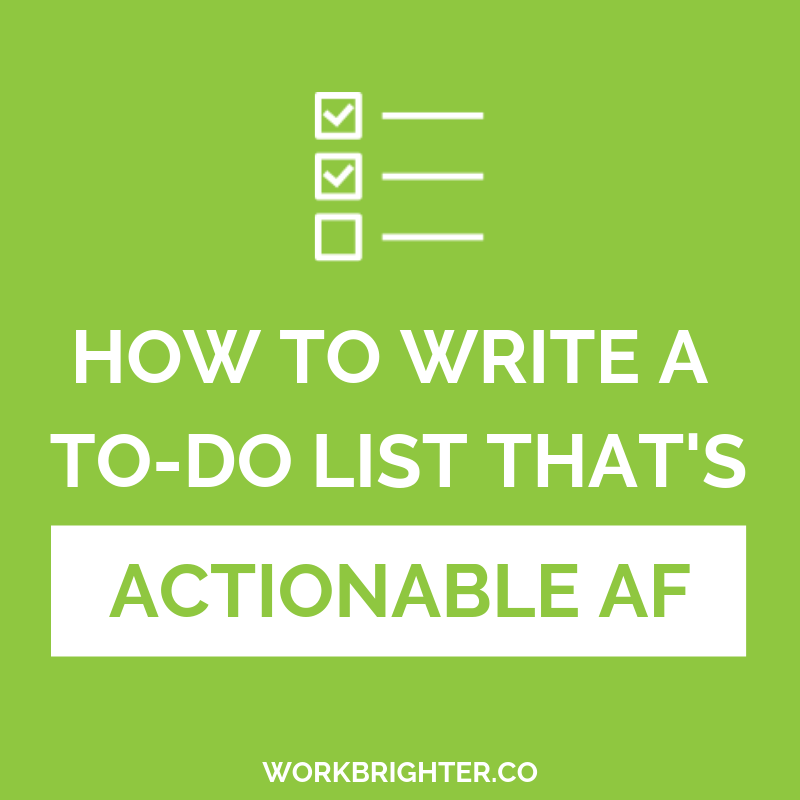 Even if I do all four in a given day, breaking it down into four separate and actionable items makes my to-do list clearer and more detailed. More importantly, it makes my action plan about action, instead of things. Get specific and break down your projects into specific tasks (brainstorm, call, follow-up, outline, print out, etc.). It makes your list seem much more manageable. You may not consciously notice it, but it still makes a difference. I know I didn’t at first. But then I noticed something: even though my lists became longer when I made sure to use verbs, I was crossing off more items. More importantly, I felt like I was getting more done, and that made me happy. Happy Brittany has more fun with work. Watch a solid 6 hours of Parks and Rec on Netflix. Write a blog post about using verbs in your to-do list. I know I’ve seen an article somewhere (wish I’d saved it!) about how this list-making method also has some other interesting cognitive effects. Go brain science! Your challenge, should you choose to accept it: start writing lists of things you need to do, instead of just things. Every item on your to-do list should have all three aspects. I love it so much I’m about to write it on a post-it to keep on the cover of my planner. 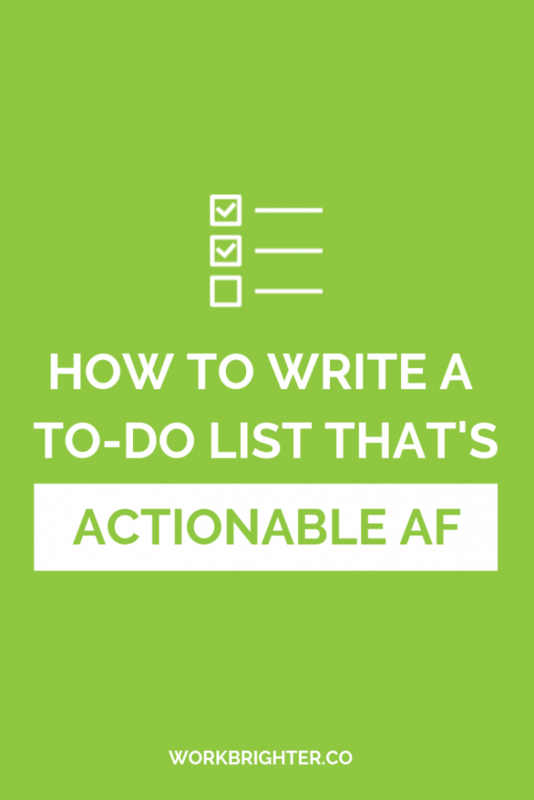 How do you structure your to-do list? Is it already actionable, or do you need to make it a little more verby? This post was originally published in December 2015 on BrittanyBerger.com and has been transferred and updated.